In our fifth year, we are focusing on Hokuriku, the gateway for ancient continental Asian culture in Japan. We present carefully selected ingredients and brewed beverages, as well as tableware created by the potters and artisans we met throughout our travels in the region. 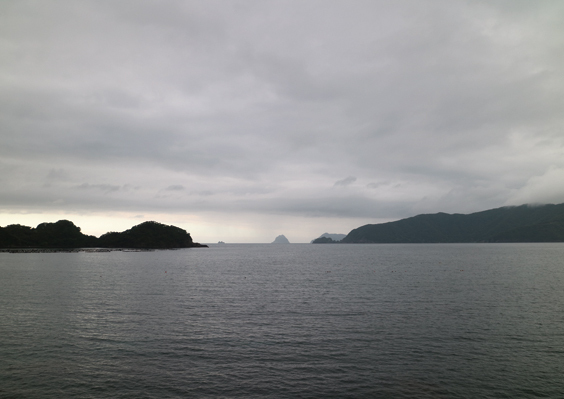 We commenced our journey in Toyama in March, traveled to Ishikawa in June, and for our next edition starting September 4th, we move on to discover the distinctive food cultures of the former Echizen and Wakasa Provinces of Fukui Prefecture. Accompanied by local food researcher Ms. Kiyomi Sasaki, we were fortunate to be introduced to many kinds of local products and unique flavors during our visit to Fukui. Home to Japan’s most deeply indented coastline, Wakasa Bay is a rich fishing ground where cold and warm currents intersect offshore, and nutrients pour in from the many rivers and streams. Historically providing the Imperial Court and household with marine products, salt and other food items, Wakasa was known as a “land of royal provisions.” Prized Wakasa goods like salted or dried Wakasa tilefish, Wakasa flounder, mackerel and other marine products were transported to Kyoto along the so-called “Yellowtail Road” starting in the town of Obama. 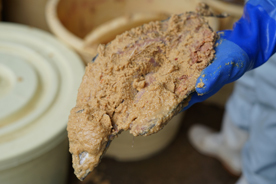 A popular local delicacy is “heshiko,” in which fish like yellowtail and sardines have been pickled in fermented rice bran. 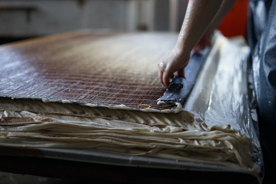 It is a fine example of this region’s traditional food culture, and the clever adaptations locals have made to utilize the year-round humidity and preserve the bounties of the sea. For the last 1200 years, March each year has marked the “Omizuokuri” ceremonial Shinto ritual at Wakasa Jinguji Shrine. Divine water called “okosui” is drawn from the Akai Well in the shrine grounds and carried to Unose on the Onyugawa River. 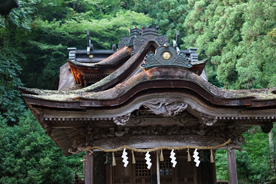 It is said that after being poured into the river, the water takes ten days to journey to the Wakasa Well below Nigatsudo Hall at Nara’s Todaiji Temple, from which water springs forth during that temple’s “Omizutori” ceremonial ritual. 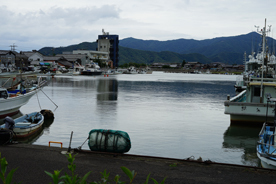 A key port of call for the kitamae-bune cargo ships on the thriving Japan Sea trade route, the town of Tsuruga flourished as the departure point on the “Kombu Road” carrying processed Hokkaido kombu to Kyoto. Okui Kaiseido (established 1871), famed as a purveyor to Eiheiji, the head temple of the Soto sect of Zen Buddhism in the Tsuruga region, produces “kuragakoi kombu,” cellar-aged umami-rich Rishiri kombu from Hokkaido. The Shojin Ryori Buddhist monk cuisine, prepared at Eiheiji Temple since its establishment by Zen priest Dogen in 1244, is considered the foundation of washoku Japanese cuisine. 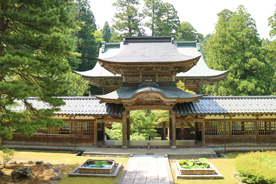 This region is also home to many followers of True Pure Land Buddhism (Jodo Shinshu sect) who have traditionally partaken in Hoonko Ryori dishes at memorial services for ancestors, in reverence for Shinran, the sect’s founder. These temple cuisines have been accepted by the religious people of Fukui, and it is common for households to serve soybean-based dishes such as deep-fried tofu in traditional Echizen Urushi lacquerware dishes at Buddhist memorial services. 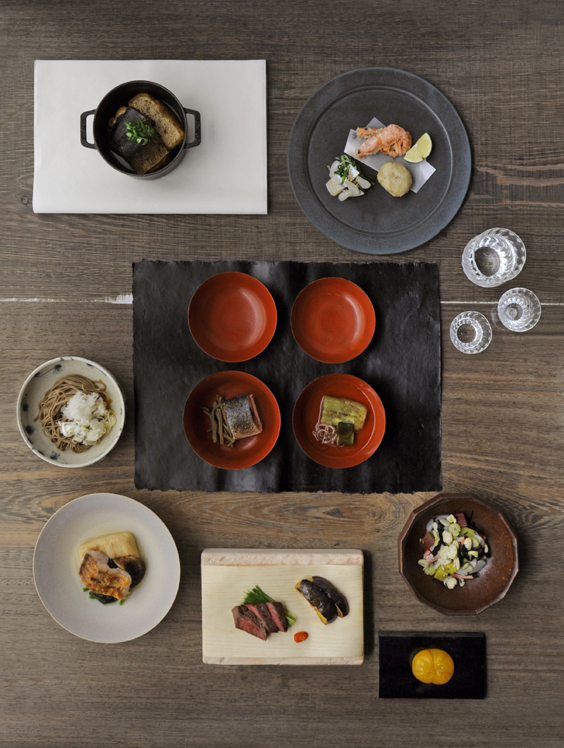 These local flavors, carefully protected and passed on over centuries, offer a glimpse into the beginnings of washoku. 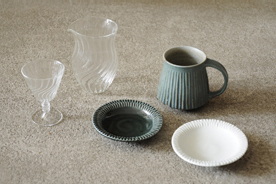 Traditional crafts are also thriving in Fukui Prefecture. Notably, Fukui, with its Echizen Washi, is the largest producer of washi traditional paper in Japan. 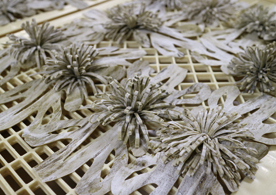 The goddess of papermaking, said to have imparted the techniques for the craft, is enshrined at Okamoto Otaki Shrine, giving us some sense of the depth of history of this traditional craft in the Echizen region. 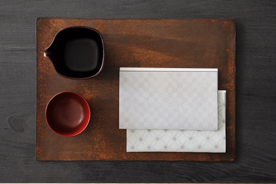 Likewise, the highly sophisticated skills behind Echizen lacquerware, honed through a well-established division of labor system, have been passed down over its 1500 years of history. Blessed with a relatively humid climate and plentiful pure water, Fukui Prefecture is home to many crafts such as these, from which we have specially selected a number of items to share with you during this event. We invite you to come and enjoy foods from the region that for hundreds of years sustained the food culture of the ancient capital – the food of Fukui. 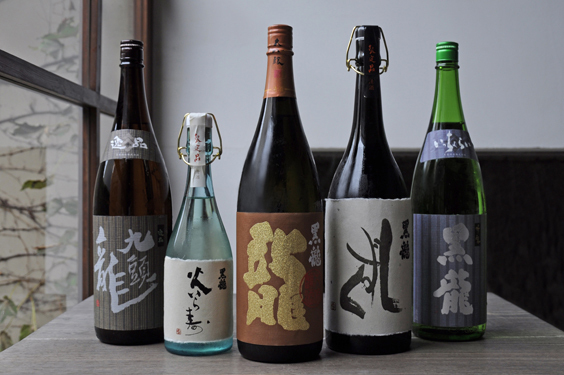 Founded in 1804, Kokuryu Sake Brewing Corporation creates elegant sake using water that starts as snow in the sacred Hakusan mountains, and over many months and years gushes out as the subterranean flow of the Kuzuryu River. The signature “Kokuryu Ryu Daiginjo” was created after the previous master brewer incorporated techniques learned from winemaking, such as low-temperature maturation. The result is a sake with elegant umami, soft texture, and a crisp finish despite its fruity aroma. Alongside this daiginjo, we have gathered “Hiirazu,” “Shizuku,” and several other rare varieties. We invite you to try these perfect pairings for the Special Dinner Course.